Below are discussion prompts and questions for an online reading group I coordinated in the fall of 2015 on Between the World and Me by Ta-Nehisi Coates. Based on what you've read so far (between pages 5 - 20), what particularly caught your attention? Why? Please provide a page number. "The streets transform every ordinary day into a series of trick questions, and every incorrect answer risks a beat-down, a shooting, or a pregnancy. No one survives unscathed" (22). In the second section of chapter 1 of Between the World and Me, Ta-Nehisi Coates begins talking about violence and fear. He also mentions learning codes of the streets in order to survive. For instance, at one moment, he notes "To survive the neighborhoods and shield my body, I learned another language consisting of a basic complement of head nods and handshakes. I memorized a list of prohibited blocks" (23). What he was learned and absorbed concerning those codes sounded all too familiar in some respects and really caught my attention. What about you? What did you end up focusing on the most while reading those pages (20 - 39)? Why or how so? Please provide page citations. "My only Mecca was, is, and shall always be Howard University" (39). In this section of Between the World and Me, Coates discusses Howard University as a Mecca and place where he encountered diverse groups of black people and began to really deepen his knowledge or what we'd call "consciousness." What scene or idea or description from the section captured your attention most? Why or how so? Provide a page number. "The enslaved were not bricks in your road, and their lives were not chapters in your redemptive history. They were people turned to fuel for the American machine. Enslavement was not destined to end, and it is wrong to claim our present circumstance—no matter how improved—as the redemption for the lives of people who never asked for the posthumous, untouchable glory of dying for their children. Our triumphs can never compensate for this" (70). In the current section of Between the World and Me, Ta-Nehisi Coates continues mentioning his forma and informal education at the Mecca. He also discusses relationships, and the lessons he gained in those. And as the above quotation reveals, he is still passing along lessons to his son about history and power. What's something in particular that you found important or useful from the section? Why? Please provide a page number. In this section of the book, Ta-Nehisi Coates discusses what happened to his friend Prince Jones. The incident occurred more than a decade before the current attention related to the shooting of unarmed black men by police officers. Perhaps, the incident primed Coates to speak out so relentlessly and thoughtfully today. What in particular did you have a notable response to in the section? Why? Please provide a page citation. "Still you are called to struggle, not because it assures you victory but because it assures you an honorable and sane life" (97). Coates continues relaying narratives and advice to his son, mos notably through accounts of incidents that he occurred when he son was too young to have remembered or understood. 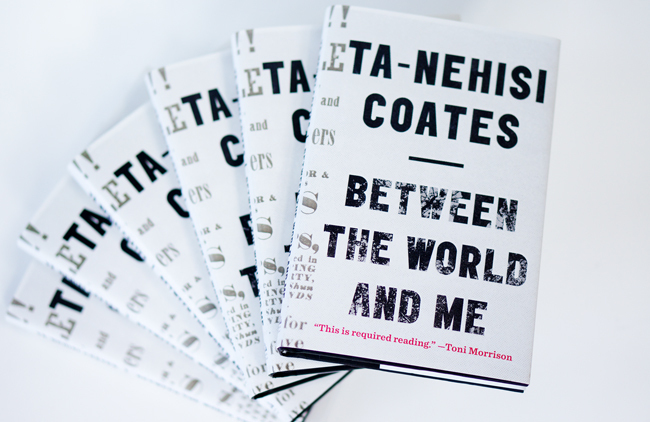 Coates also blends in discussions of the role of history and events that are beyond the control of African Americans. What caught your attention most about the chapter? Why or how so? Please provide page numbers. "The entire narrative of this country argues against the the truth of who you are" (99). Those were three notable quotations from the section we read. There were perhaps many more. How did you respond to one of those above comments and why? Or, identify a different, particularly notable comment from the section and explain why that sentiment caught your attention. "In America, it is traditional to destroy the black body--it is heritage" (103). "I would not have you descend into your own dream. I would have you be a conscious citizen of this terrible and beautiful world" (108). During this section of Ta-Nehisi Coates's book, he discusses his time in France. How did you respond to this section of the book? Why or how so? Coates closes the book by reflecting on his visit with Prince Jones's mother. What aspect of the closing pages caught your attention most? Why or how so? Please provide a page citation.